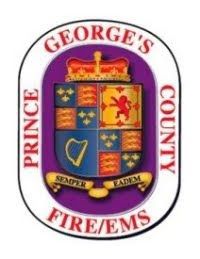 Prince George’s County Firefighters battled a fire at a Capitol Heights Church that caused significant damage. Just before 12:30 pm, Thursday, January 12, 911 callers reported smoke was coming from a church in the 5900 block of Addison Road. Firefighters arrived to find smoke showing and initiated a search of the structure for occupants as well as the source of the smoke. No one was found inside and firefighters narrowed their search for the fire to the basement of the structure. Fire Investigators believe the fire originated near a basement wall unit space heater with fire extension to the first floor within the confines of the walls. To extinguish the fire firefighters had to There were 55 firefighter/medics on the scene. It took about 50 minutes to completely extinguish the fire. Firefighters remained on the scene after the fire was out performing extensive overhaul. The accidental fire caused an estimated $20,000 in fire loss.